Babies aren’t trying to be jerks. They just can’t help it. There’s no better proof of babies instinctual ability to mess with you than the uncanny manner in which they always seems to time their sleep schedule for maximum disruption of your life. To prove this theorem, I spent some time monitoring my son. 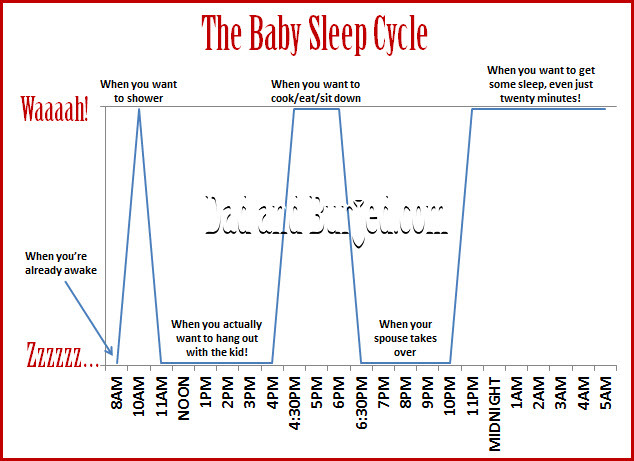 The baby sleep cycle is erratic, at best. The one consistent factor? Whether they’re asleep or awake is always determined by whatever is most inconvenient.